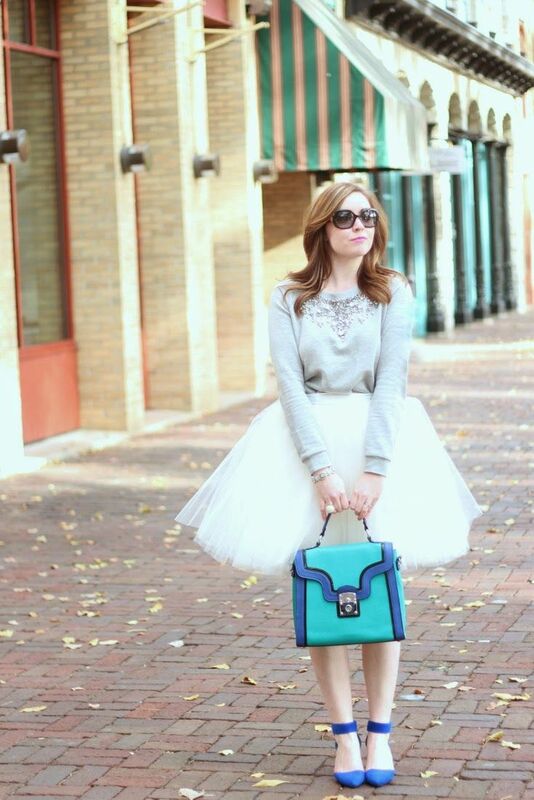 What you think of tulle skirt? Like it or not? 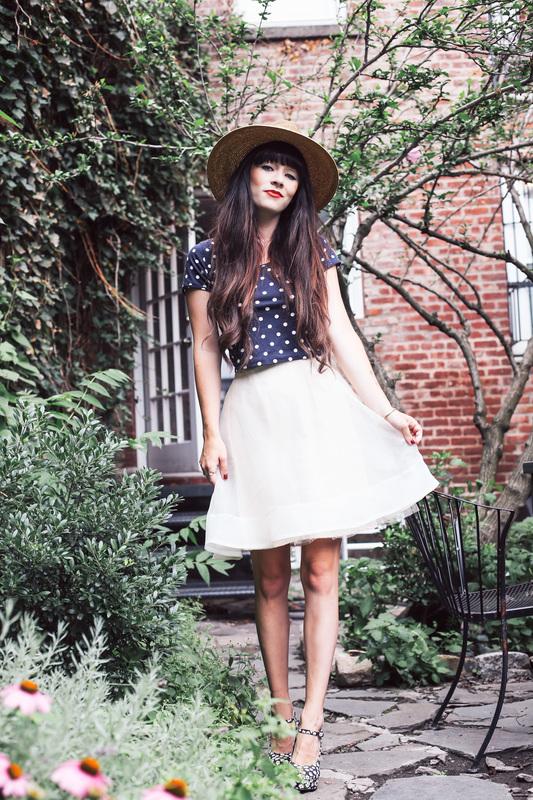 In today's post we are about to see 15 awesome ways to wear tulle skirts this year. I am pretty sure you gonna love each one of these looks. Why? They are ladylike, elegant, sophisticated and very individual. For an older generation this bottom might look weird, but nowadays it's a wearable garment that made its way into mainstream fashion. Just for your information: tulle means the same as tutu. This piece originated from costume skirt that was used for ballerinas. If you do like the appearance of this cute garment or you wished to be ballerina in your childhood, then I am more than happy to share with you this amazing compilation of beautiful outfit ideas, you may like to try this year. Parisian touch! We see a girl wearing beige beret hat, shortened black-white striped T-shirt and black tulle skirt worn with multi-buckled closed-toe pumps. If you keep on wondering how to pull this beautiful skirt off, then I must admit, it's very easy to do. All you have to do is to wear it in certain ways. I tell you more, everything depends where are you going to wear it. Also, keep in mind the puffiness of this bottom garment. For instance, if you wear slouchy, loose-fit or relaxed top, then you better choose less puffy style, while those of you who wants to try on body-con top, then I recommend to wear a puffy style. If you don't want anyone think of you in a strange way, then NEVER wear ballet or any other flats along with this skirt. Better go for boots, stilettos, high heels, platforms, or chic gladiators. Personally, I like to wear mine tutu skirt with lace black or white top completed with leather jacket. What I like the best about tulle skirt and leather jacket, then it's the ideal balance of femininity and masculinity. My friends like to wear crop tops paired with puffy skirts. I would really like to try on sweater styled with tutu skirt, I think knitwear will give that special casual and street style vibe. If you want to achieve more classy look, then go for classic striped top and pair it with black tutu skirt and neutral color footwear. Well, I tell you honestly, there are many ways to wear this fabulous garment, but I have gathered my favorite 15 ways to wear it. Take a look and let me know your thoughts.